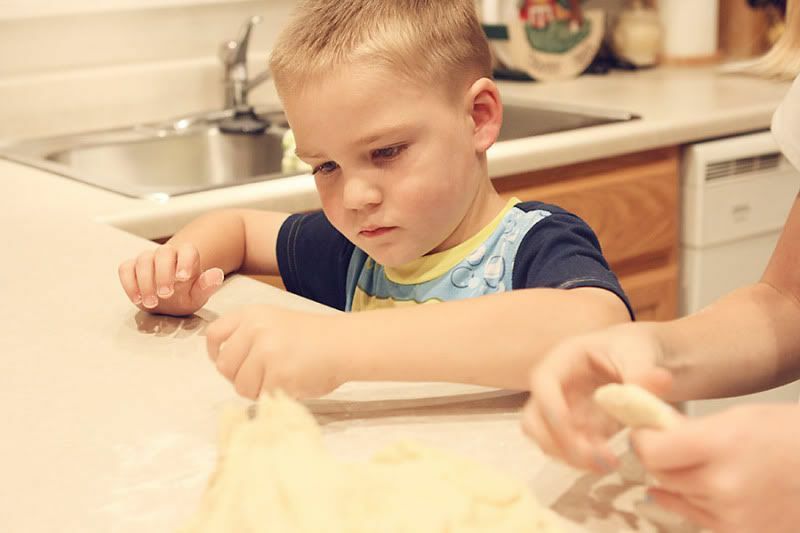 Every time we cook (which is not very often by the way), we have a certain little man that joins us in the kitchen. 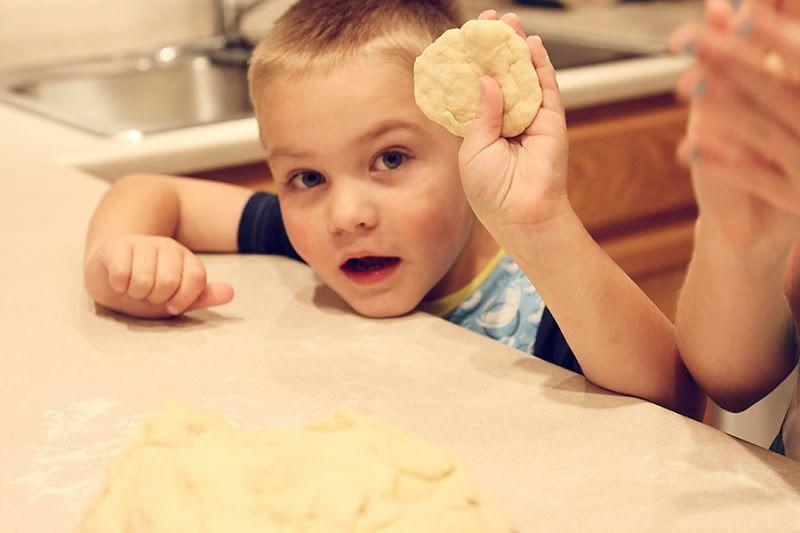 Doop is fascinated with cooking, and no matter what we are making he wants to help. 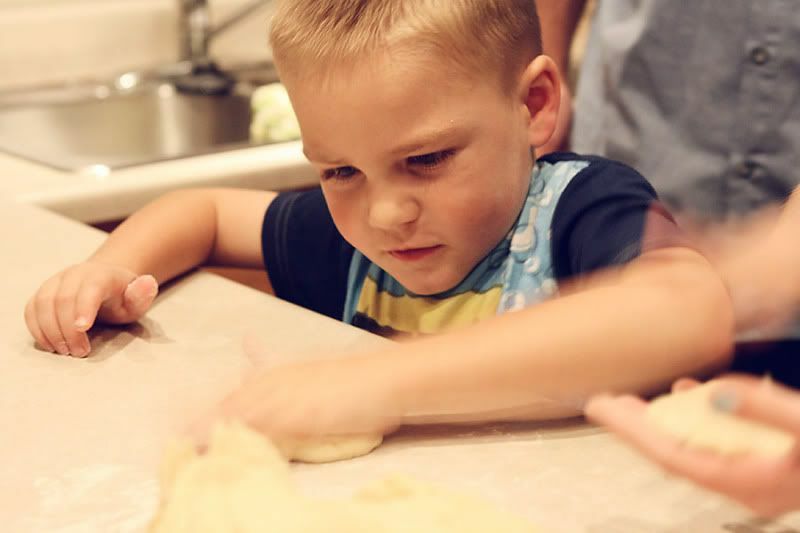 I think it's all about digging in and feeling the textures of the food, and the visual learning he gets as he watches it transform from start to finish. He just plain enjoys it. This past Friday evening was the first day of the week that we all slowed down enough to be in the same place at the same time, and so we actually decided to cook dinner and eat together. The menu? Scones! 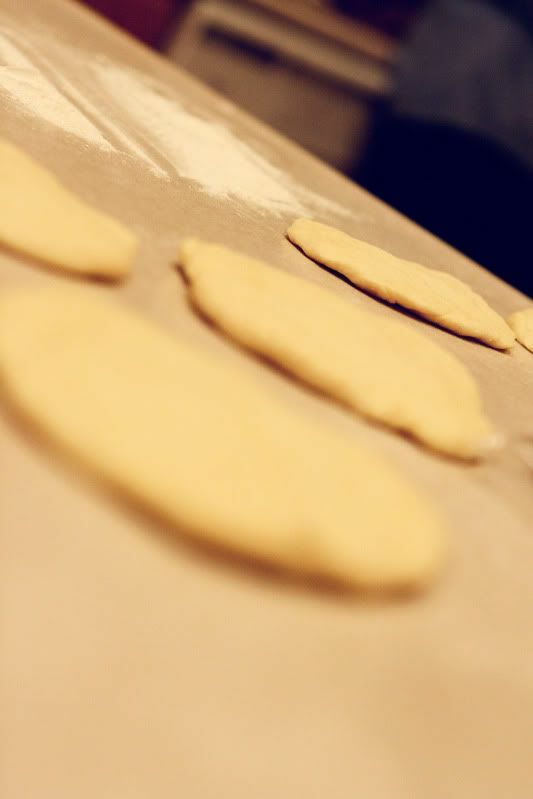 Seej and I mixed the dough up, and then I turned the kitchen over to JM, Doop, Lou and Seej for the rest of the process. I guess that's the beautiful part of having little ones who are so eager to help. Anyway, as I watched them I had to laugh at Doop. 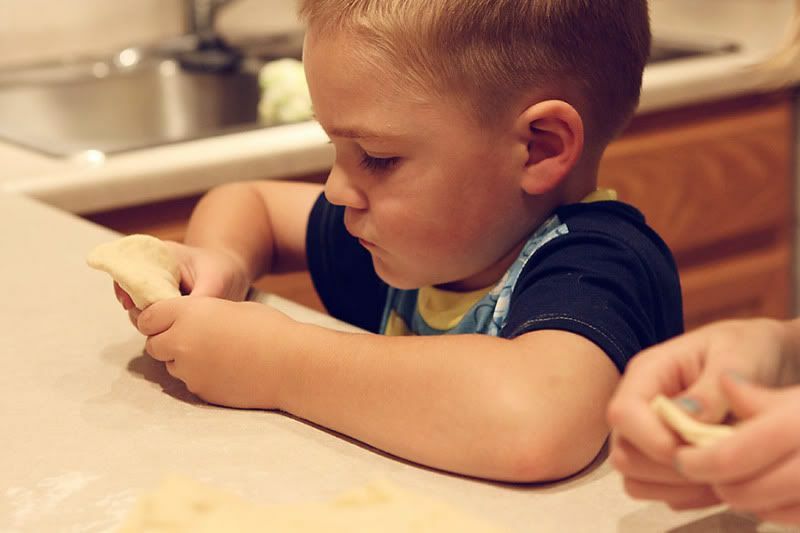 He couldn't wait to feel the dough in his fingers. Don't worry, I scrubbed his hands myself to make sure they were clean! 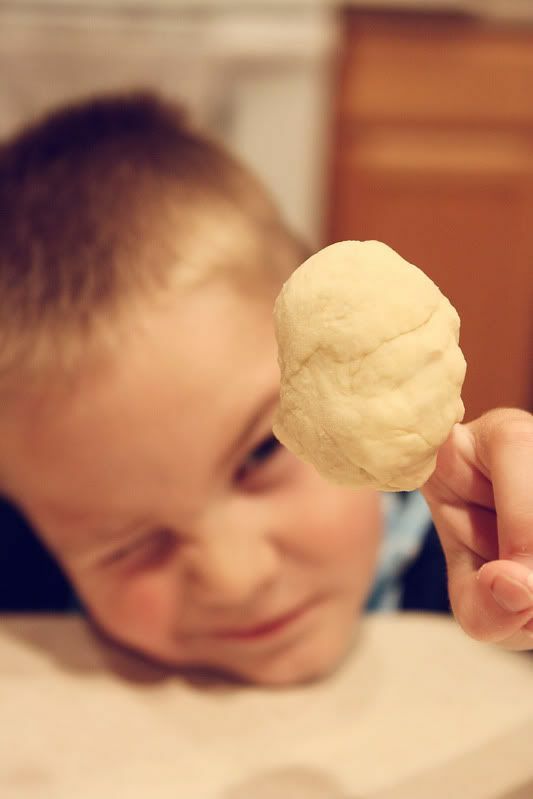 The next step for Doop in the scone making process was "spanking the dough". He was pretty enthused about this part as you can tell by his face. He and Seej worked together in a sort of assembly line fashion. 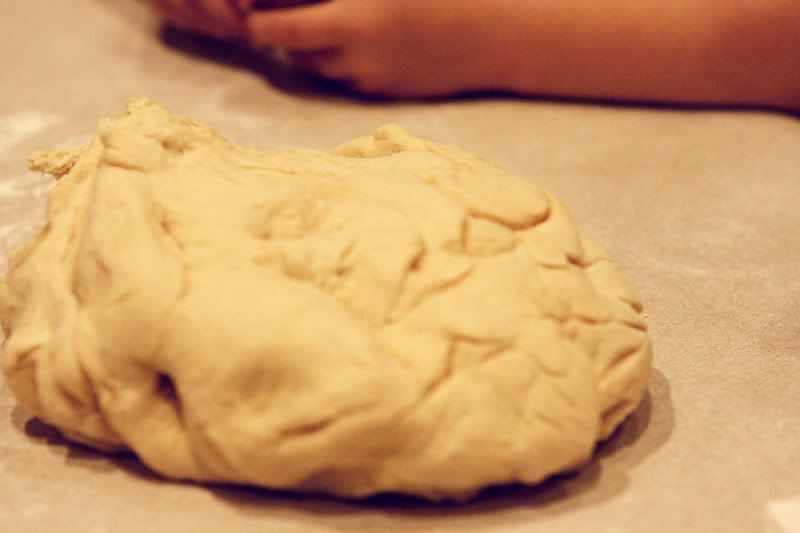 He was an excellent dough flattener, and it became a little more intense with each one. Seej did get her hand out of the way before the gauntlet came down on this one. There was plenty of dough for him to take his aggression out on. And to play with. I swear his world and the way he sees things completely fascinates me. 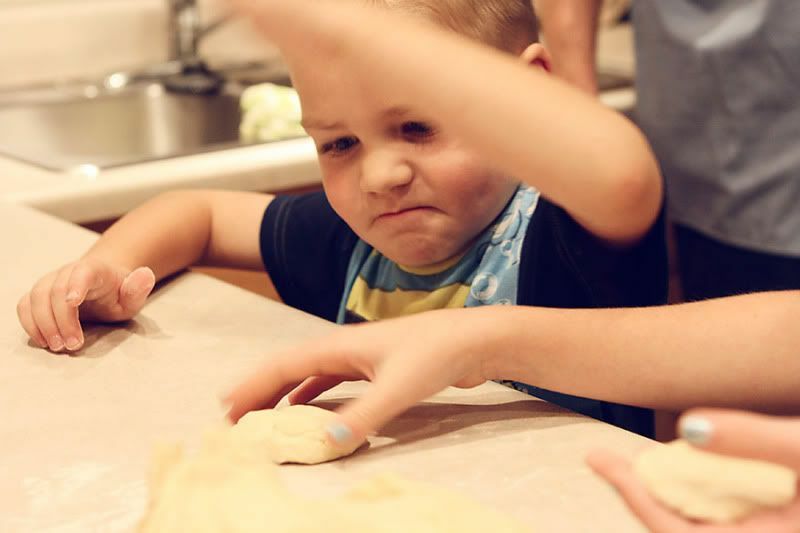 After all of his violent smacking of the dough, he noticed that Seej was gently working with it to prepare the scones for the oil. He watched for a minute, and then followed her lead. Can you believe that his face can go from such intensity above to this? I guess that's why I don't mind it when he helps out in the kitchen. He is learning. He's learning to create masterpieces, and to be successful. He's learning to work with his sisters, and he is learning to take direction. He is actually learning skills that will help him in so many ways in his life. He is also learning that he can do anything that he sets his mind to do. Just look at how well he did with the scones. His sisters are learning right along with him. They did nice work. 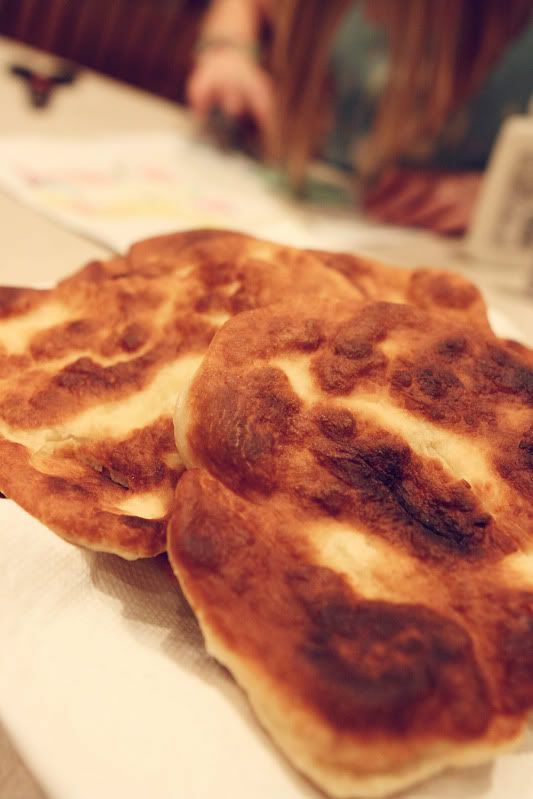 And the result was absolutely delicious, which is one more thing my future chef is learning. Hard work produces excellent and sometimes very tasty results! That's so cool that he's into cooking/baking - I wish I had a desire to be in the kitchen...it's just not there. He'll make a great husband for some lucky lady one day!